my face, fur tickling my nose. living, purring fur coat. My cat. hard to hold on to sleep, blissful unconsciousness. General anesthesia. shop report. Who highlighted all those pages? market, shopping for treats for Joe. ladies’ room, primping a treat for Joe. getting treated. By someone else. right. Impossible. I started running through the alphabet backwards. me. If masculine has a scent, it’s Bay Rhum. arm around his neck. Pathetic. I wish I could un-see this. 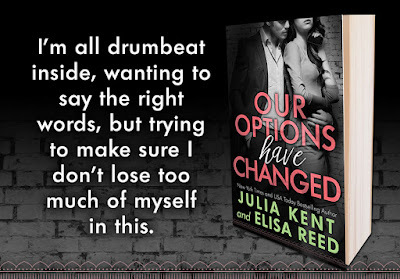 ready—what if Li changes her mind? Should I buy diapers, baby clothes, a crib? closet where I can’t see it. a scholarship for her? Create one? Grafton. Okay. This is better. This I can handle. What to wear? bustier. Grey thigh highs in fine mesh. chic and understated. Underneath, intimate pleasure. 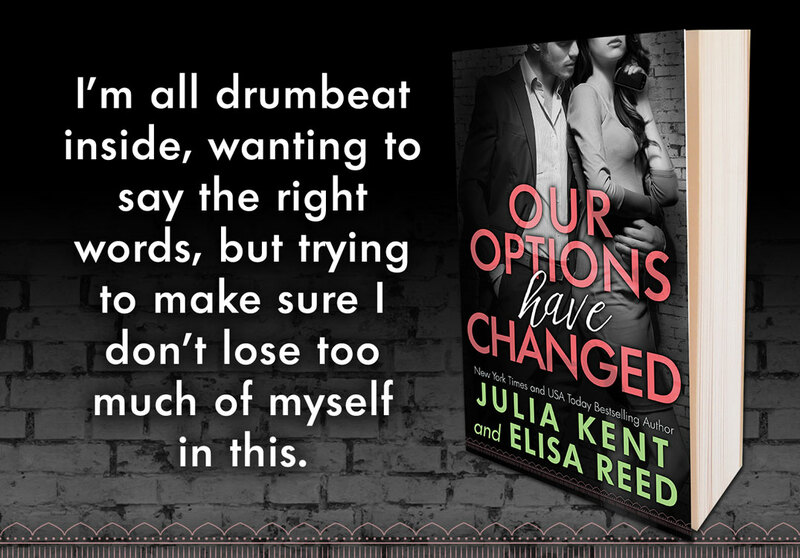 USA Today Bestselling Author Julia Kent writes romantic comedy with an edge.